1. 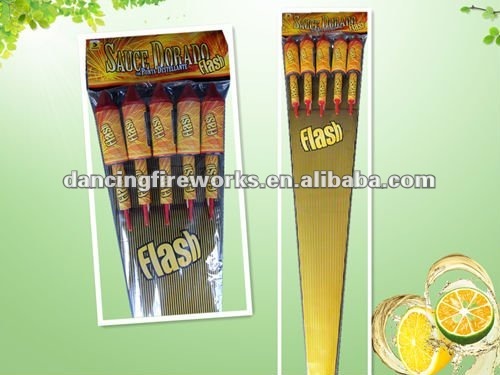 Unit size (tube size): 1 1/2"
An aerial firework with its own means of propulsion. 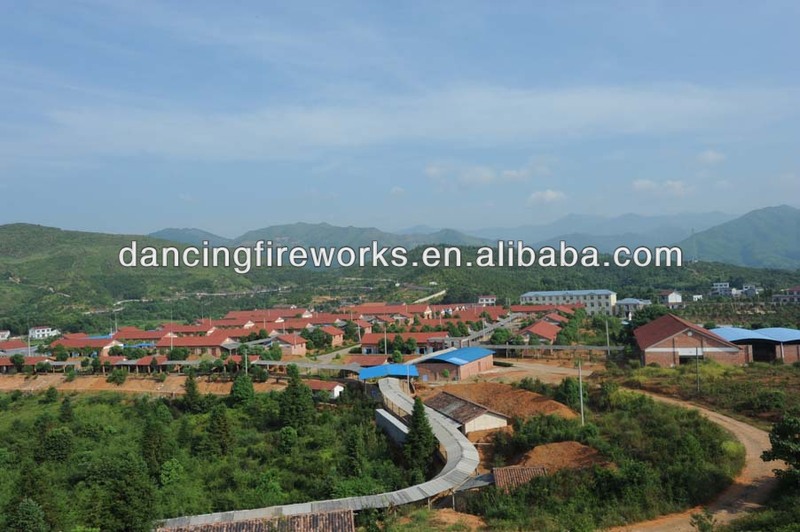 A rocket motor lifts the device high in the sky. A stick is used to stabilise and guide the rocket in flight. 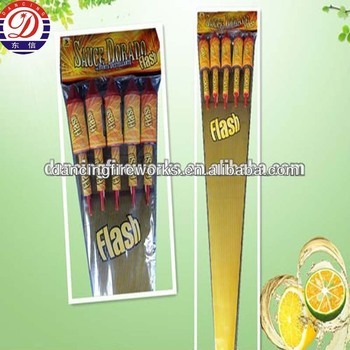 The rocket can always be identified by its characteristic sparkling tail on the way up. 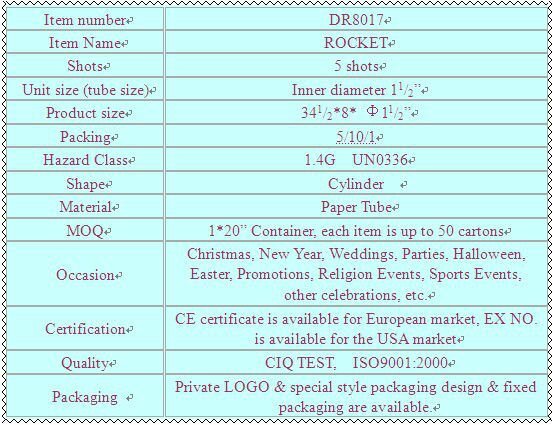 Rockets come in a variety of sizes from entry-level rockets producing a variety of colours and effects, to top of the range products that produce thunderous reports and bright flashes.